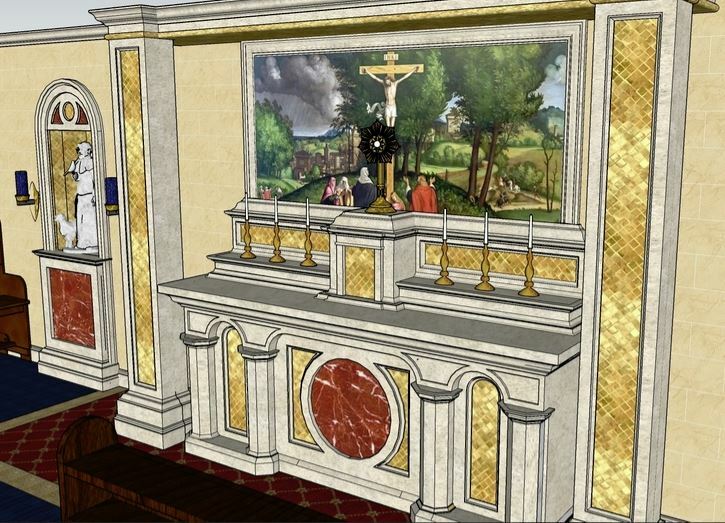 Check out the new Chapel space drawings! 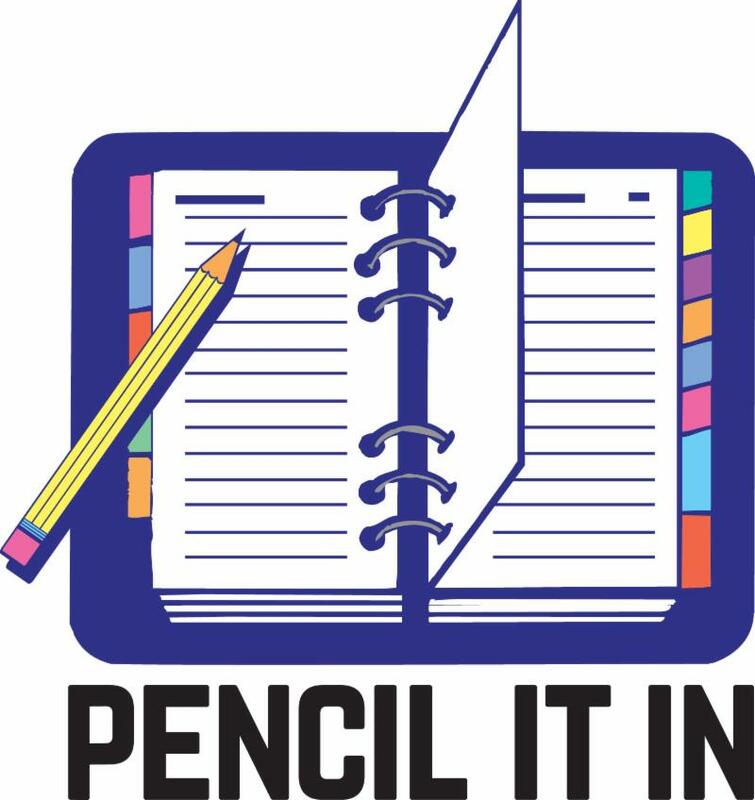 4/18 - PreK - 8 School in Session! 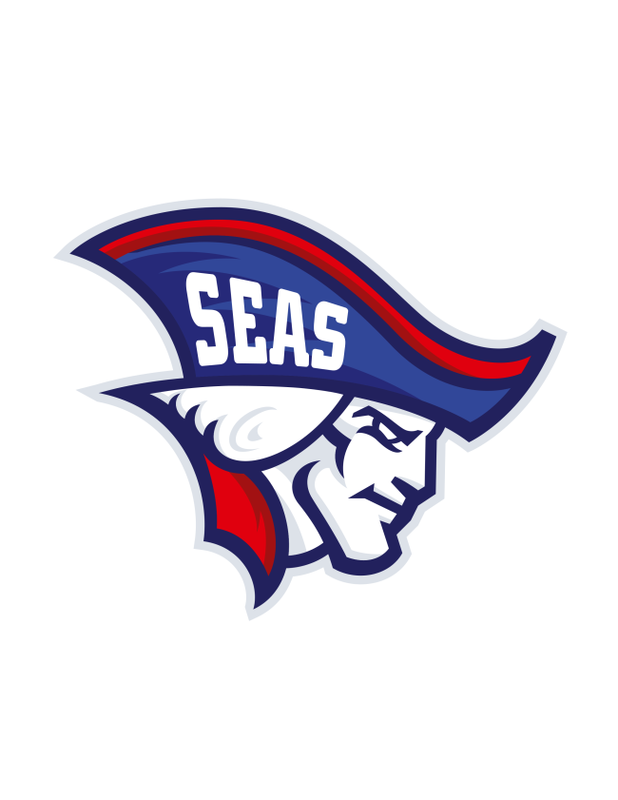 SEAS Performance and Fleece - Due Friday! 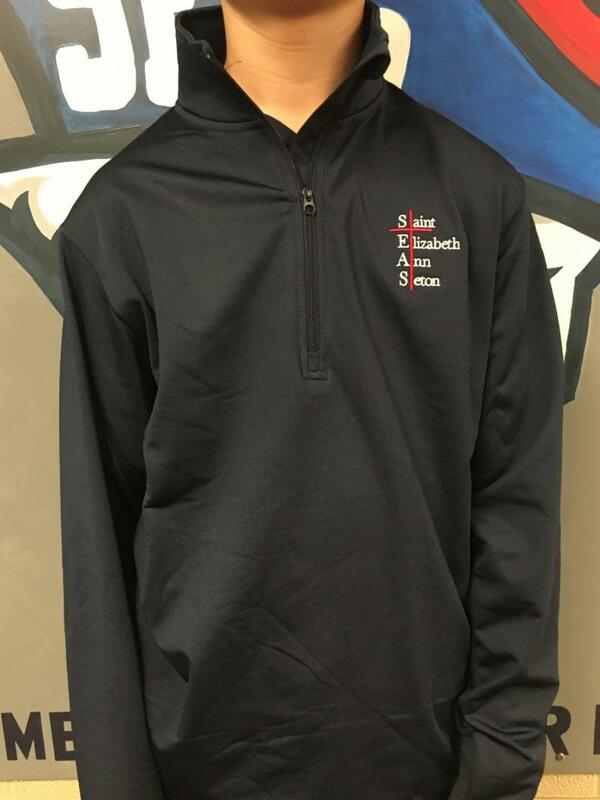 SEAS Performance and Fleece Spring Order is here! Samples sizes are available in the school office. 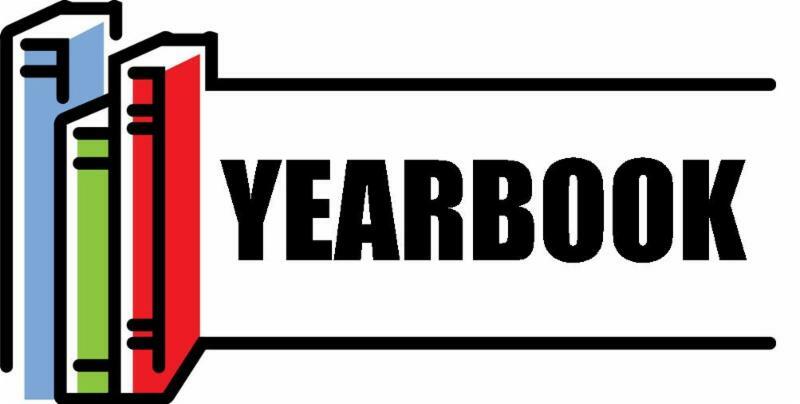 Orders are due by Friday, April 5th. 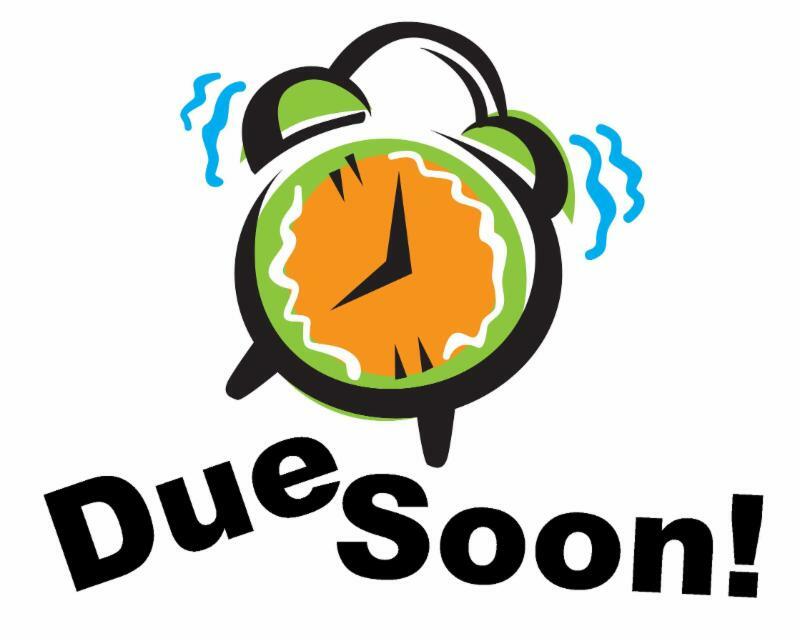 Your TADS account will be billed when your order is placed. The Spring Fling Donations Committee is extending their deadline for turning in items for your child's classroom basket. Not a shopper? You can send in a cash donation as well and the committee will do the shopping for you! 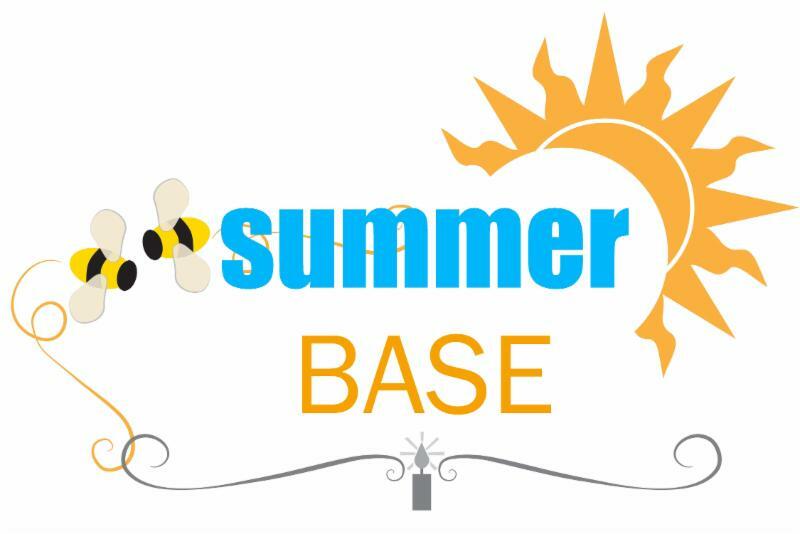 Register now for SEAS Summer BASE Camp! 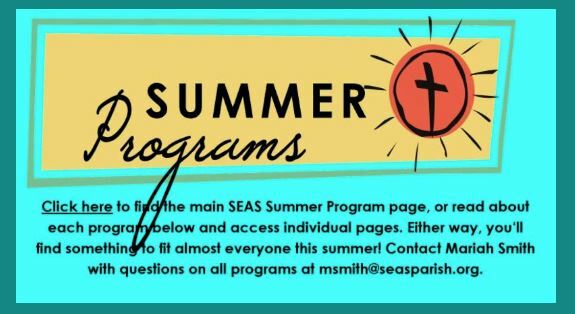 Enrollment is open now - Wednesday May, 1st! 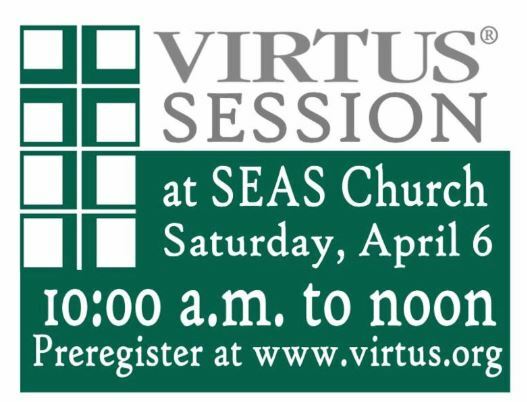 If you register before Thursday April, 18th you will receive half off the enrollment fee! 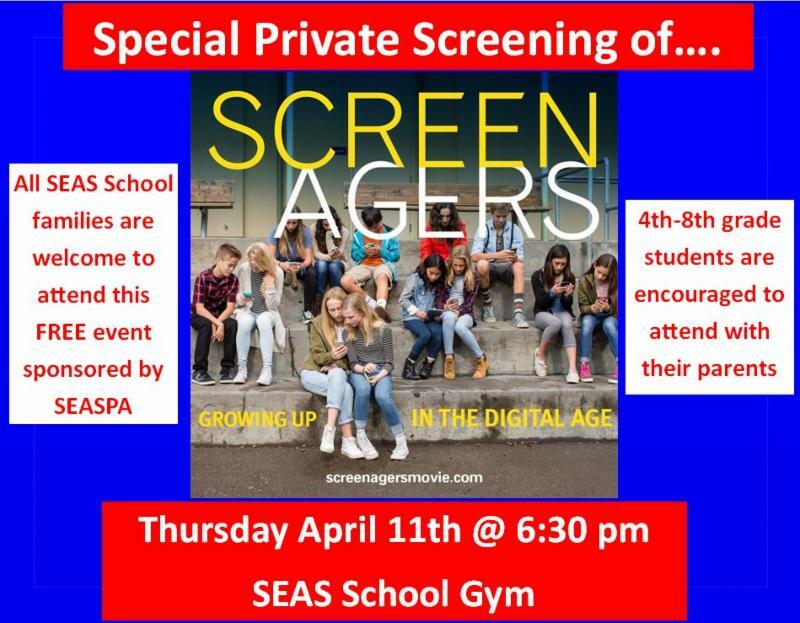 You won't want to miss - Screenagers! Your attendance at the event (ticket sales), along with the silent and live auctions all benefit our school and the families of our school. 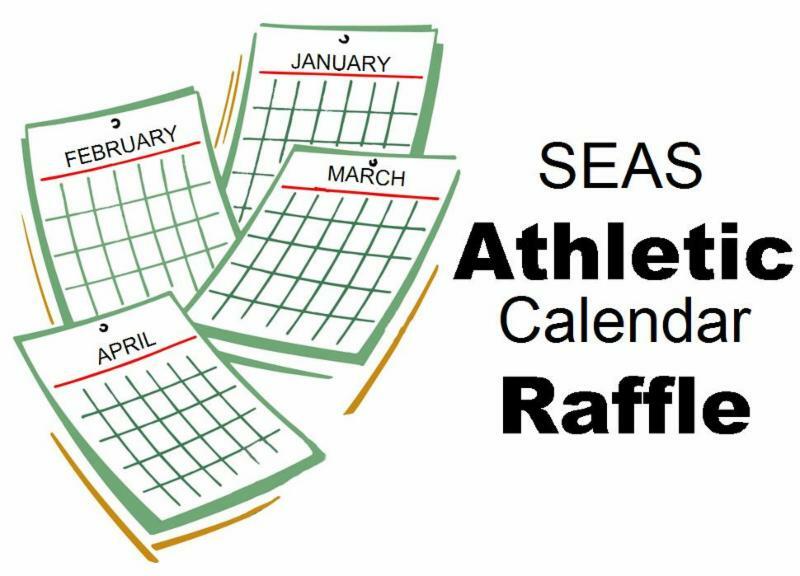 The money raised at the event and through the raffle goes towards teacher grant requests, tuition financial assistance, capital improvements, subsidizing and growth opportunities and so much more. At the event there will be a Fund a Need. 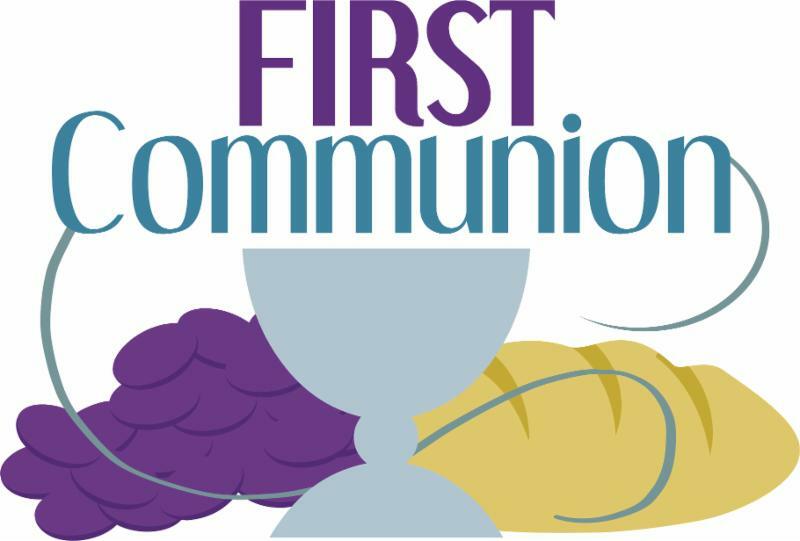 The money raised for the Fund a Need portion of the event this year will go towards creating a chapel space in our school. 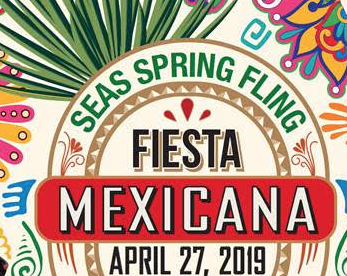 The Annual Spring Fling is a fun event for parents to come together, meet new families, eat, drink and socialize for the benefit of our kids. We are super excited for this year’s Spring Fling! We are bringing in a SEAS Alumni who happens to be a local TV personality to MC our event as well as a new auctioneer! ﻿Don’t delay purchasing your tickets to get the early bird special! 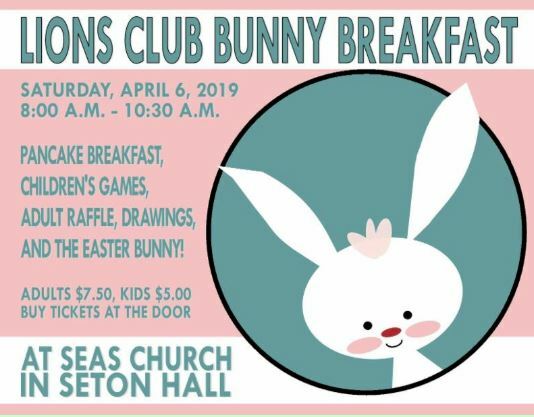 After 4/10/19 the price increases by $5 per person!